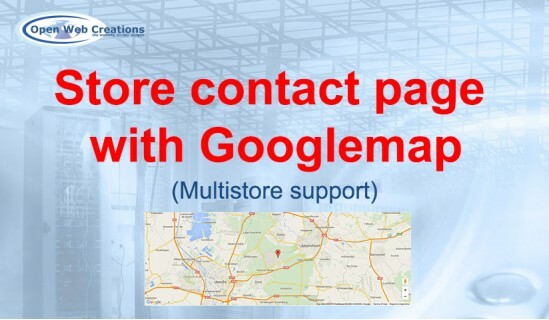 Store contact page with Googlemap Store contact page with Googlemap adds a Googlemap on your contact page, just below the store information. 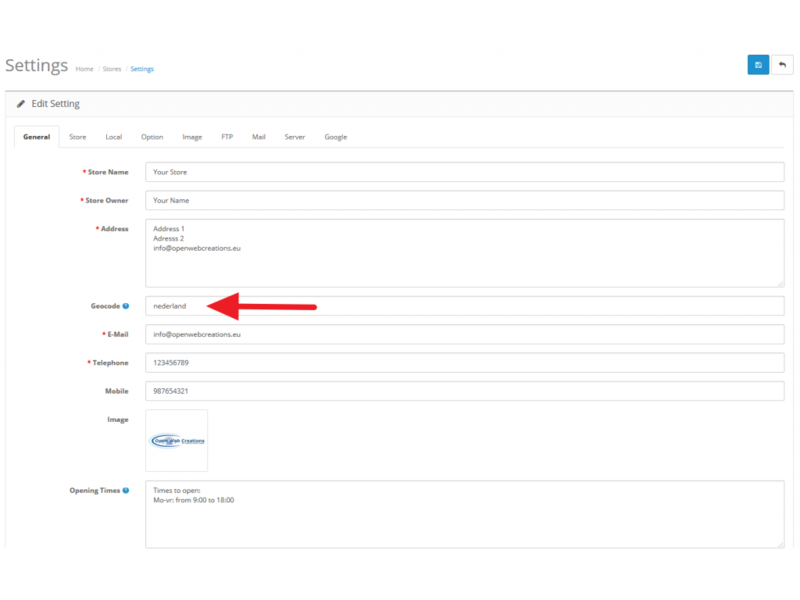 Store contact page with Googlemap adds a Googlemap on your contact page, just below the store information. 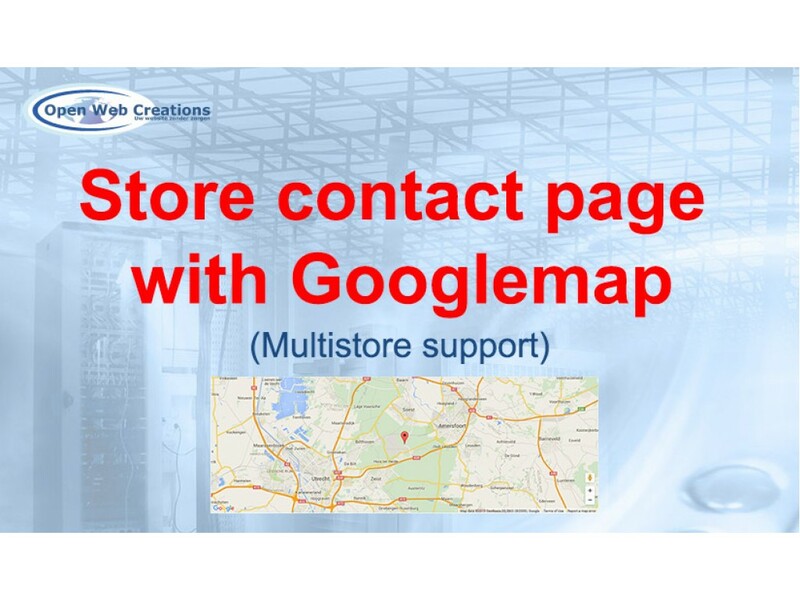 Compatibility: Store Contact page with Googlemap works well in OpenCart version 2.0.0.0 and above. 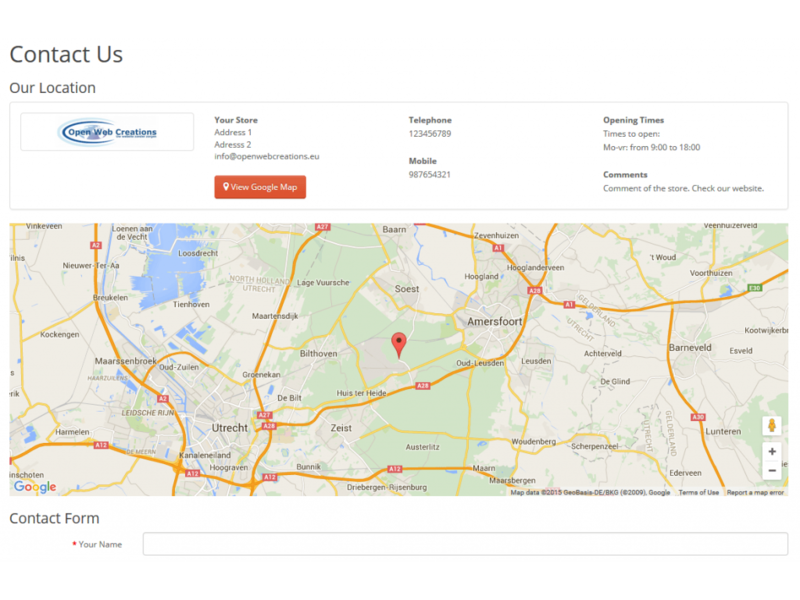 Easy and friendly administration: Within the store settings you can enter the Geocode to make the Google map visible.